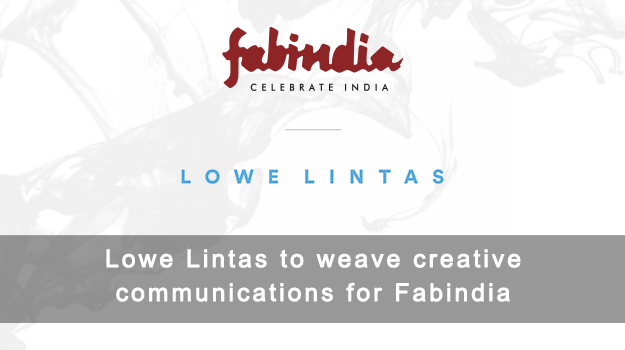 Fabindia announced the appointment of Lowe Lintas as its creative agency. Lowe Lintas won this mandate after a rigorously contested pitch which saw several top agencies of the country competing. Lowe Lintas’ Delhi office will handle the business and play a pivotal role in extending Fabindia’s communication of being an authentic Indian brand with contemporary products inspired by the rich local craft and artisanal traditions. With the market size that is forecasted to grow to USD 865 billion by 2023, the Indian fashion retail market has witnessed several exciting changes and challenges in recent years. Almost a third of the Indian population comprising of young adults make the country a favourable market for fashion and lifestyle retailers. In all this enormity, with its unique and differentiated product philosophy, Fabindia has effectively carved a very prized niche for itself. Naveen Gaur, COO – Lowe Lintas, commented on the win, “It is a matter of great pride for Lowe Lintas to associate with an iconic brand such as Fabindia. Fabindia offers a differentiated offering to consumers because it provides a source of belief and we want to leverage this to make the brand more relevant and purposeful in the mind of consumers”. Copyright © MullenLowe Lintas Group 2019.